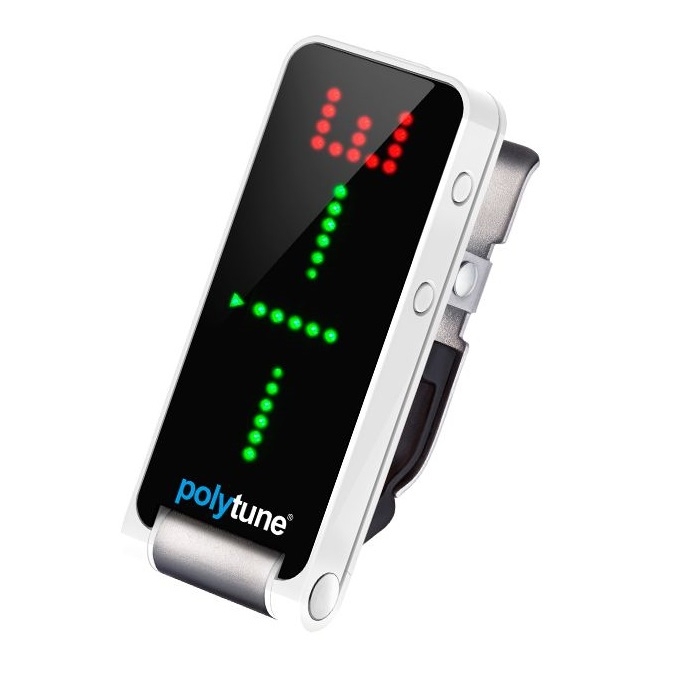 PolyTune Clip is much more than just a clip-on tuner, it's a revolution! Perfectly combining state of the art tuning technology with an unprecedented attention to aesthetics and functionality, PolyTune Clip gives a tune-up that's unmatched in speed, precision and grace. Not only is PolyTune Clip the best PolyTune we've ever made - we believe it's the best tuner by any measure. PolyTune Clip is designed to be your trusty tuning companion, whether you're going for a quick onstage tune-up or an ultra-precise setup of your instrument. PolyTune Clip sports three distinct tuning modes ranging from the game-changing polyphonic tuning mode that lets you tune all 6 strings at once, to your trusty chromatic tuner and all the way to an ultra-precise strobe tuner mode, which offers +/-0.02 cents of tuning precision. No matter what method you choose to use, the tuning trinity of PolyTune Clip will always guide you to pitch perfection.